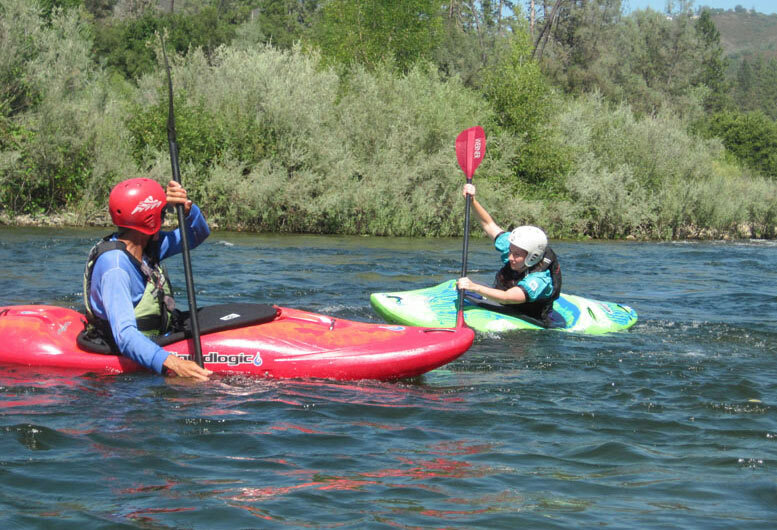 For 26 years Current Adventures’ whitewater kayaking instruction program is where California paddlers have sent their friends and family to learn to kayak the right way! The proven itinerary of our whitewater kayak classes is the fastest way to get started in the exciting sport!! Our small classes assure not only personal attention, but more success and a safer experience as well. We run our whitewater kayak classes with a 3:1 student/instructor ratio or better – the best in the industry! In Whitewater River Kayaking 1 (RK1) you’ll develop the foundation and skills necessary to paddle on your own with friends. Our friendly, experienced instructors start in the pool or easy moving water, overcoming any fears while introducing basic paddling strokes & techniques. By Day 2, you’ll amaze yourself as you paddle through the eddies and currents under your own power. With increasing confidence and boat control you’ll weave and glide down a new stretch of the river and by the end of the day you’ll be planning your return for River Kayaking 2!! Gather a group of three or more paddlers and set your own date at our regular group price! Call us for details. What is taught in RK1, RK2, and RK3? In general, River Kayaking 1 or RK1 provides an introduction to the boat and gear, addresses getting into and out of the boats, and teaches wet exits, bow rescues, forward and steering strokes, self rescue, eddy turns, peel outs, and Class I-II river reading. River Kayak2 or RK2 continues working on all of the above, and adds basic surfing skills, increased use of edging, more on basic safety, more advanced river reading, and an introduction to rolling. After taking RK2 you may want to consider one of our Pool Roll classes. River Kayaking 3 or RK3 teaches more advanced strokes as well as when to use them. We have lots of guaranteed water releases year round and especially in the summer when other rivers are low –making The American River the river of choice for kayaking and other river fun!! 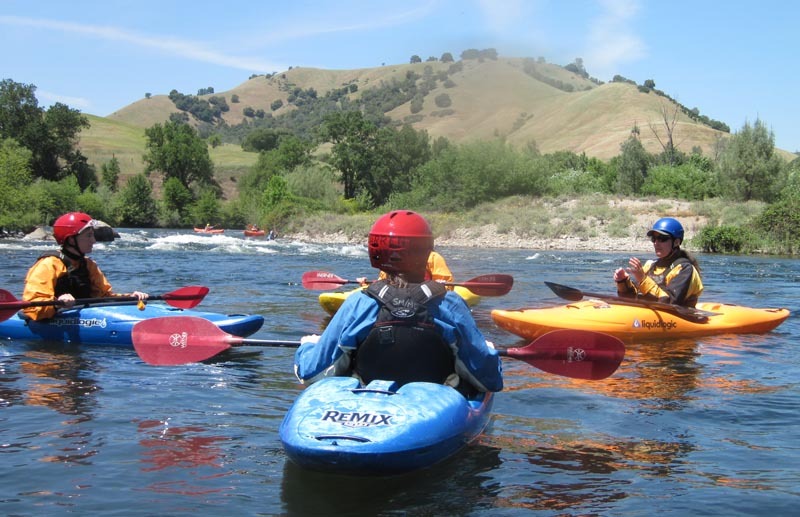 Whitewater kayaking instruction and American River kayaking trips for the discerning and adventurous paddler!